Marcus Sedgwick’s YA novel White Crow is not for the faint of heart, but careful readers will certainly be rewarded by this atmospheric tale. It’s a creepy story of science and obsession, of ghosts both real and imagined. Rebecca is none too happy about having to leave her more urban life for the much quieter Winterfold. She doesn’t quite know what to do with herself besides harbor resentment towards her father (who is, essentially, hiding out after some mishap at work) and pine for Adam, the boy who she left behind. There’s something elfin about her. Everything ends in points: her nose, her eyes, her chin, her lips, her fingers, the spikes of her long tresses of black hair….her teeth, not quite a vampire’s, but not far short. Rebecca and Ferelith don’t immediately gel, although it’s clear that Ferelith is smitten. Eventually, though, with nothing better to do, Rebecca starts to hang out with her a bit and Ferelith starts to reveal Winterfold’s somewhat sinister past. And so this young man has become our first subject, and though my hopes were high, the results were low. I scorn myself to record it herein, but we learned nothing. 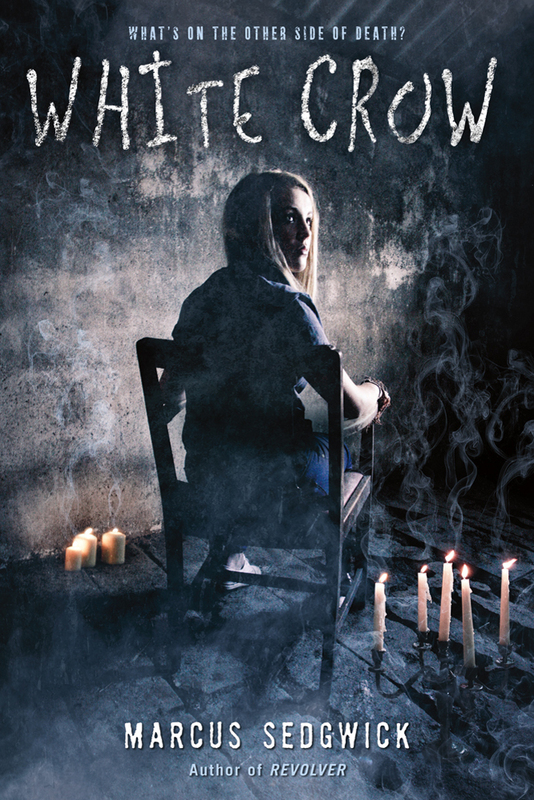 White Crow is like one of those old fashioned horror movies I used to watch when I was a kid. I could almost hear the menacing music as Ferelith tours Rebecca around Winterfold, through old, decaying ruins and to the one remaining church with the missing wall. When the novel reaches its climax, it’s creepy, page-turning fun. Young readers will have to pay attention; I know I did. But the book pays off in spades. This entry was posted in Uncategorized and tagged 2015, Book Review, horror, YA teen by Christie. Bookmark the permalink.